“Where families and positive relationships are nonexistent is where traffickers prey.” An Unholy Alliance published an excellent article about the connection between kids in care and human trafficking. CSEC is the commercial sexual exploitation of children, and it is a real threat to children around the globe. Research shows that in the United Sates alone, more than half of the children rescued from these situations are kids who were in state care who have run away, aged out, or been lured away from care. Traffickers use the “boyfriend technique” to entice, the “gorilla technique” to grab them off the street and beat them into submission, or the traffickers lure them through internet sites or another teen already being exploited. If the odds for the CSEC are so high for our children in the United States, imagine growing up in a less developed country where systems of care and legislative policy are not well established or police protection is limited or corrupt. According to the 2018 Trafficking in Persons Report, “human trafficking is a global phenomenon to which no country is immune. “Traffickers exploit the political, social, economic, and cultural contours of local communities.” The sad reality is that children are being trafficked daily, everywhere, and lives are being ravaged and destroyed. Awareness, prevention, and intervention are the key elements in any plan for resolving social issues. While you and I alone might not be able to eradicate child trafficking, we can certainly make a difference for some of its potential victims. Hosting changes lives. Short-term hosting and ongoing healthy relationship with a caring family can bring hope and healing to children who have been tossed aside, left behind, or disregarded. But a word of caution is needed. 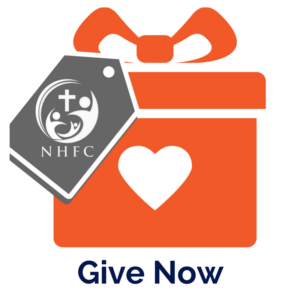 When NHFC first began hosting orphaned children a decade ago, it was a new idea. Now there are dozens of programs offering you the opportunity to host a vulnerable child. There is certainly a need for good programs and willing families. However, be aware what is meant for good can also be a breeding ground for people who exploit children. There is limited oversight of hosting programs. You cannot host a child from trauma without understanding how that trauma impacts them and how it could impact your family. Does the program have a robust training program helping families understand the culture of the child’s country, as well as, the culture of being orphaned and having experienced trauma? Do they provide immediately available support from experienced mentors or mental health professionals throughout hosting? Are doctors and nurses available for consultation? Children in care are especially vulnerable to traffickers, and even more so when involved in a hosting program. Does the program have the highest standards of care for protecting the identity of the children from trolls and child perps looking to exploit them on-line? Is the identity of the child and their home country hard to determine on social media sites? Do they fly children with chaperones or escorts all the way to their destination vs. flying them unaccompanied minor on some flights and susceptible to anyone on the flight? Are host families background checked and parents interviewed and assessed for readiness for hosting? Are personal and pastoral references obtained and homes assessed for safety before a child is placed with the family? Hosting is a great thing when done well, but many programs take shortcuts eliminating some of the essential steps listed above. They cut corners to make application easy or suggest that having no paid staff regularly monitoring the program is somehow a good thing. But these are things that place kids and the families who care for them at risk. The reality is that hosting is more than just one family taking in a child. It’s about a community of people coming together to support one another, protect and nurture the children, and partner with the families involved in the child’s care.